The movements and actions that we see in nature and living beings in our day to day lives are very rarely mechanical in and out or up and down motions. Generally, most living creatures follow an implied curved path, also known as an “arc”. Meaning to say that all the actions that we generally see in our day to day lives follow arcs. The most basic example would be of a bouncing ball. See how it follows a curved trajectory and not a mechanical straight line. Arcs make actions look more believable and fluid, making them more pleasing and appealing to watch. In complex actions, there can be multiple arcs being traced. 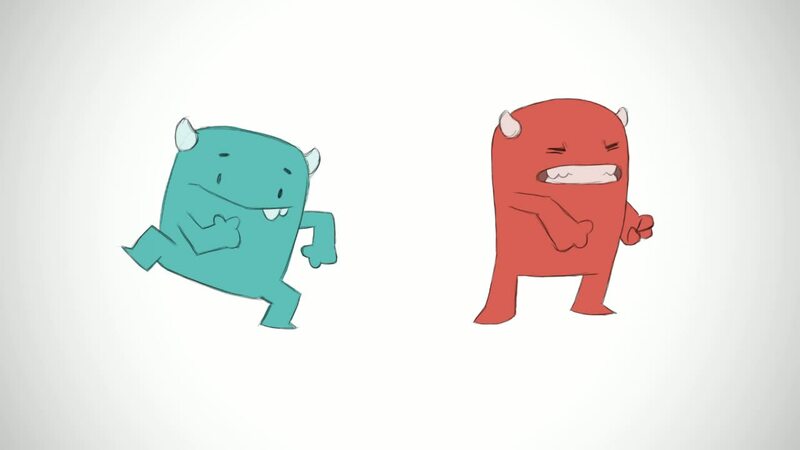 For example, this dancing monster has its hands, feet and body, all moving about their own individual arcs. Hence, five arcs are being followed in one action of it dancing. If we go in more detail, we’ll find that the monster’s horns, elbows, knees, eyes, mouth, teeth, et al. follow their own arcs as well. So how do we keep track of all these arcs while animating? The answer is, by flipping. Constantly flipping or rolling your drawings while animating gives you a fairly great idea of the natural arc of the movement. In some cases when the number of arcs are just a handful and fairly simple, it is better to draw them out on a layer below and animate on top of that. For more illustrated examples, watch the video.